Bringing farmers, residents, and students together to plant native trees and shrubs along our creeks in order to stabilize and rehabilitate creek banks and restrict agricultural runoff. Woolwich boasts more than 80 kms of trails across a network of 10 public trails. Join a community hike or challenge yourself to join the 100 or 200 KM Clubs. Find a trail and explore! The Township of Woolwich Environmental Enhancement Committee is our partnership with the municipality to identify and find projects to improve our environment. Started in 2011 the plan for a tree planted for every resident in the Township was accomplished in 2017. The goal now is to plant 5,000 trees per year to attain 30% canopy coverage across the Township. To promote and encourage on-road cycling in Woolwich Township. A great resource to find optimal cycling tours that will make the most of your time on our countryside roads. Have an idea to make our communities better? Have extra time, a passion for healthy living, and some skills that will contribute to our planning committee. Consider joining us. How you can make a difference in our community. Get involved. Join us as a volunteer, participate in one of our events, or engage with feedback and thoughtful ideas on improving Woolwich. The power of community volunteers. Don't find yourself in the wilderness in improving the great outdoors for all. Our strength is in numbers with diverse backgrounds and engaged people ... everybody is welcome to participate. Advocacy and promotion for the betterment of our communities. 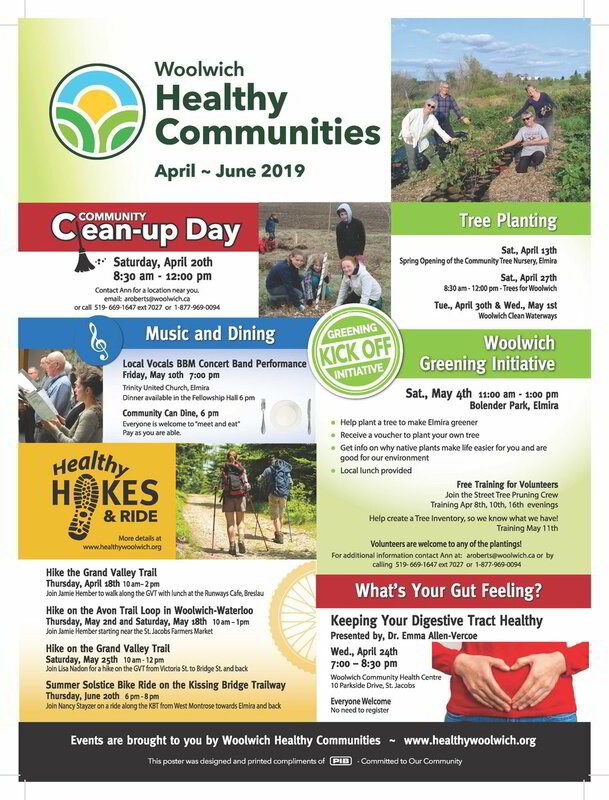 We actively work with the Township of Woolwich staff and Council to partner on projects that promote healthy living now and for future generations of residents. Partnering makes us stronger. Almost 30 years of partnerships continue to make WHC a valued community agent of change. Our connections are deep locally including governments, healthcare, education, research, local businesses and more. 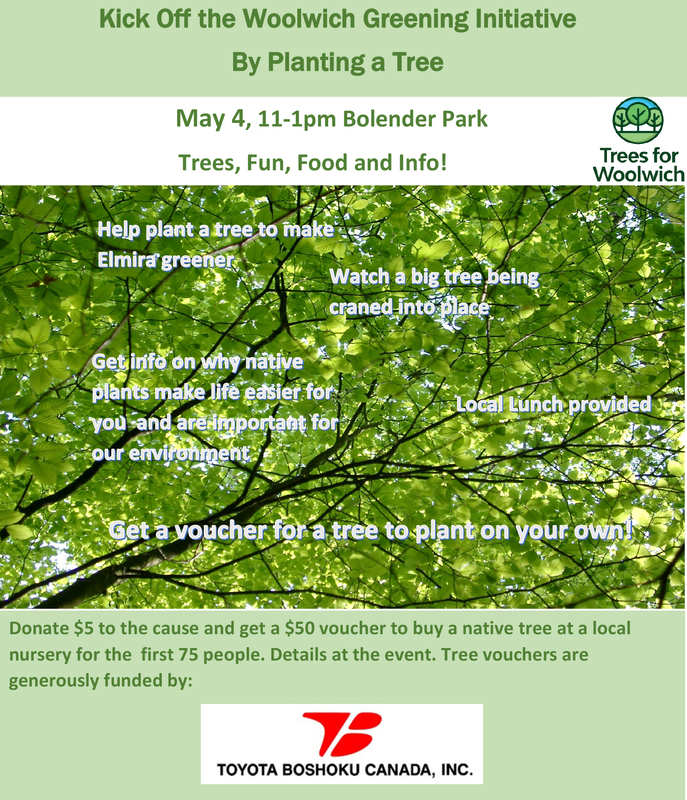 a project we're working on or want to share an idea of how we can improve our environment? Meet some of our volunteers working on projects that enhance our community. See our photo gallery of the wonderful people who get their hands dirty for Woolwich! Join us for one of our events, projects or workshops. Find out how you can participate in one of our events. Related Township events will also be posted.